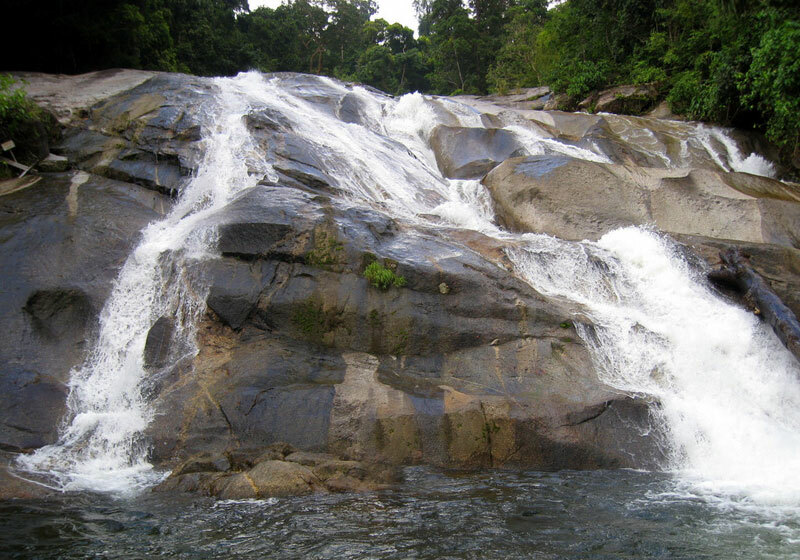 Karom Waterfall is 9 kilometres from the city. Take Highway No. 4016, then turn left onto Highway No. 4015 for 20 kilometres, and the entrance to the waterfall will be on the right. The Karom Waterfall originated in the Nakhon Si Thammarat mountain range and cascades down 19 levels, with names like Nan Phung, Nan Nam Ruang, Nan Dat Fa, and Nan Soi Dao (the highest level at 1,300-1,400 metres). Kings and royal family members have visited this waterfall, as evidenced by the initials of King Rama V and King Rama VI carved there. Short Description: Situated 9 kilometres from the city, Karon is the waterfall that is originated from the Nakhon Si Thammarat mountain range, cascading down 19 levels, each of which had name such as Nan Phung, Nan Nam Ruang, Nan Dat Fa, and Nan Soi Dao (the highest level at 1,300-1,400 metres). A number of kings and members of the royal family have visited the place, evidenced by the initials of King Rama V and King Rama VI carved on the rock.